Dear Readers! How are you doing? I hope everything is well. Today I'd like to show you how to use Pidgin for chatting and transferring files on local network. You can do this even without Internet connection. Let's get started. In this tutorial, I use Ubuntu and Windows XP (installed on VirtualBox) to test the cross platform compatibility. 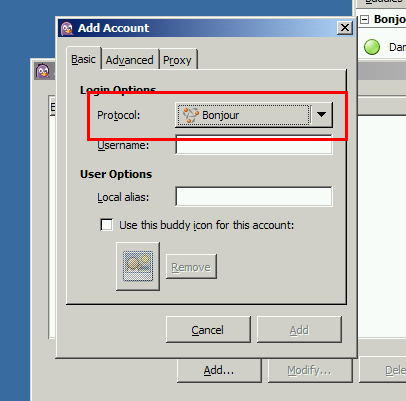 Once installed, run Pidgin and create new account with Bonjour protocol. Please download Pidgin for Windows here and Bonjour Print Service from here. Once downloaded, install both applications, and create new Pidgin account using Bonjour protocol. 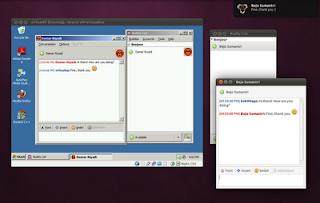 Now, run Pidgin on both computers. 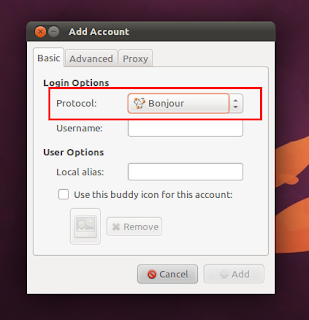 If you did it well, you should see the username of another computer in the "Buddy List". You can start chatting and transferring file after that.